Celebrity farmer Jimmy Doherty will help provide a support package for the small farming sector. 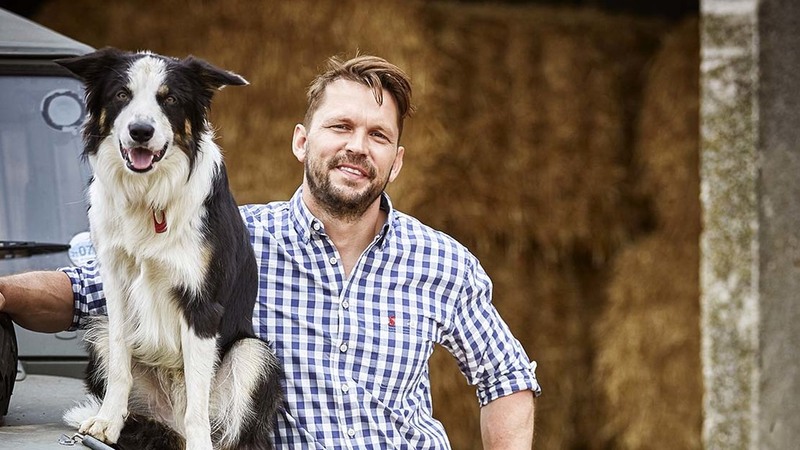 Farmer and television presenter Jimmy Doherty has joined forces with NFU mutual to support UK small farmers. In his new role as small farm ambassador, Jimmy will promote the work of small farmers in producing high quality food, protecting the environment and playing a leading role in the community. The support package will help promote and encourage the small farming sector who form the backbone of British agriculture. “We need small farms to look after the land, keep rare breeds going and to hold the fabric of the countryside together,” Jimmy said. “Small farmers have a great story to tell – but are so busy working that they don’t get the chance to talk about the great work they are doing so I hope to be able to use this role to spread the message and support farmers, from those who have just started out to families who have been working the land for generations." Through the package, Jimmy will share his experiences of his work on a once run-down Suffolk plot which he transformed into a successful farm and visitor attraction in 2002. He now hosts a thriving farm shop, farm park and an award-winning restaurant selling rare-breed free-range beef. “Farming today isn’t just about riding on a tractor; you have to be the vet, you have to be the engineer, you even have to now be the shopkeeper with a farm shop," Mr Doherty said. NFU mutual strategy and marketing director Gina Fusco said: “Jimmy is a brilliant communicator whose TV programmes captured the hearts of viewers by showing how his passion for farming helped him meet the challenges small farmers face. NFU mutual has protected the nation’s farmers for over 100 years from small holdings to large estates, protecting tractors, livestock and barns. Farmers can follow Jimmy’s work with NFU mutual to support small farmers on twitter @nfum and by visiting nfumutual.co.uk/farming from Monday (October 24).